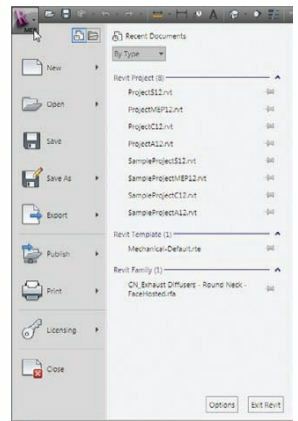 Application menu under the Export tool (see Figure 4.25). as cut or in projection. 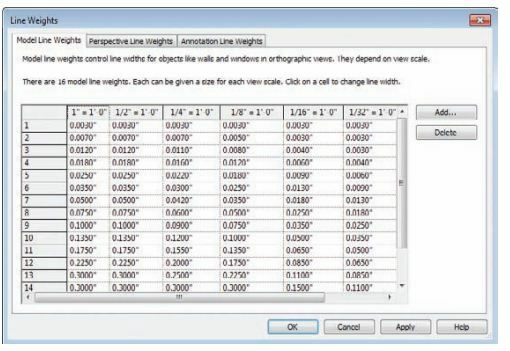 See Figure 4.26 for an example. 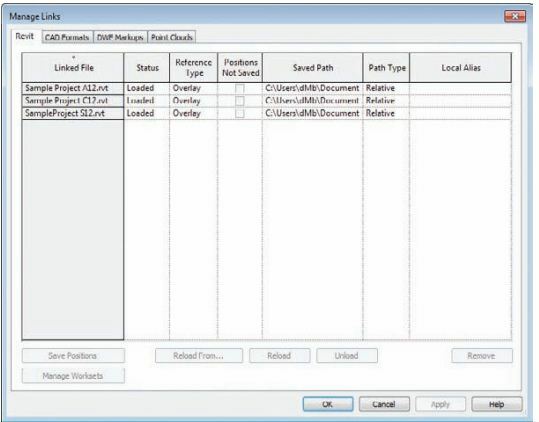 Once you have provided a layer and color for the elements that you need to translate to CAD along with the other export options, you can save the settings for future use. See Chapter 2, “Creating an Effective Project Template,” for more information on establishing export settings. 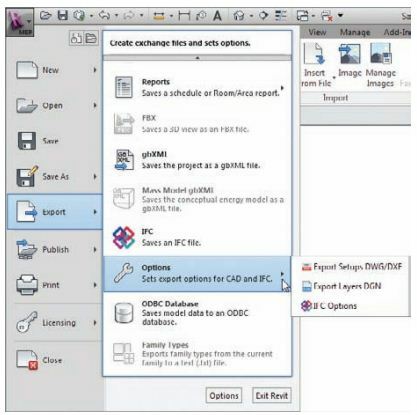 With your export settings established, choose the appropriate CAD format from the Export tool on the Application menu. 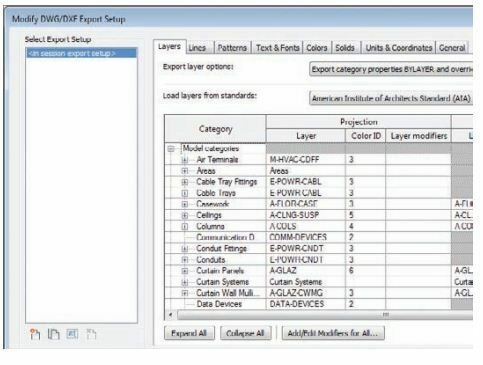 The Export CAD Formats dialog box provides you with options for selecting multiple sheets or views to export and the properties of the exported files.